Bruce Neihart, a contractor at a deployed location in Southwest Asia checks the growth of his side project -- a mini garden with flowers, herbs, and tomatoes Wednesday, Mar. 8, 2006. 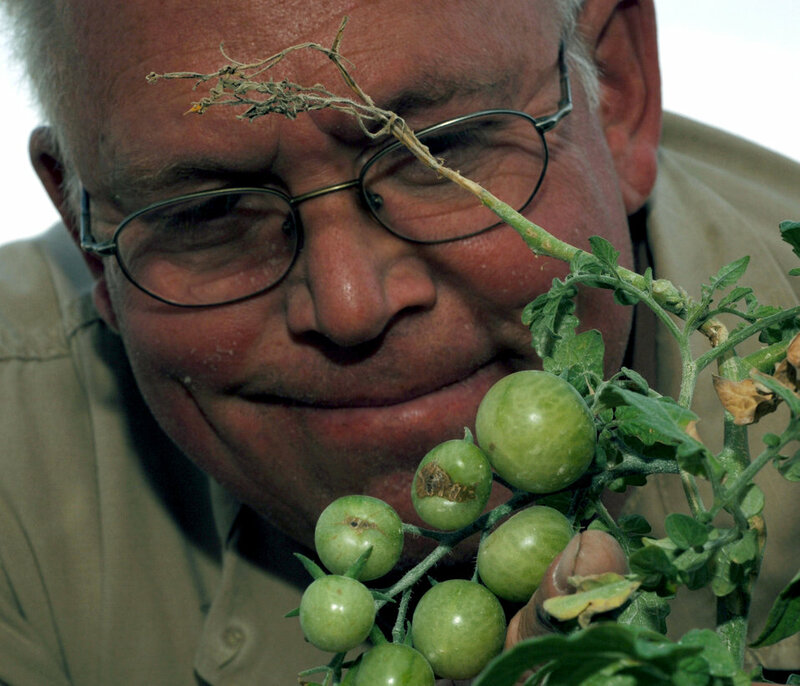 He is well known for his tomatoes and other veggies sprouting up here in the desert. Mr. Neihart is with the 379th Expeditionary Logistics Readiness Squadron.